Group Discussion Ideas > Social GD Topics > How can slums be improved? How can slums be improved? A slum is an urban informal settlement that is unfit for living because it lacks access to basic sanitation, drinking water, electricity etc. No access to drinking water and electricity. Most of the slums inhabitants can’t be beneficiaries to Govt schemes. Only few slums are recognized by Govt. Conditions in unrecognized slums are even more worse. No drainage system. In most slums, waste water flow in between houses. The little medical facilities available in slums is provided by NGOs. Increasing rural to urban migration. Urban areas are not being improved enough to accommodate the new inhabitants. Poverty and lack of job opportunities in rural areas are the push factors of migration. High cost of living in urban areas. Urbanization – Pull factor of rural migration. Some politicians use slum inhabitants as their vote banks. Though they give fake promises of improving the living conditions, they encourage slums. Social conflicts – civil wars. Reduced life expectancy of slum inhabitants. Health problems due to drinking contaminated water. Those living in slums get victimized easily by alcohol and drugs. Slums inhabitants will become the worst victims of natural disasters. Slums breed violence, crime, diseases, epidemics and psychological illnesses. No safety for women living in slums due to high no. of drunkards. Slum removal – It made slum inhabitants homeless. Slum relocation – It moved poor people further away from their work places. Slum upgrading. It improved slum’s living conditions. But it does not address poverty and low wages of informal economy. Organized urbanization – Planning & Modifying urban areas to accommodate newcomers. Legitimizing slums instead of driving them out of their homes. Improving job opportunities in rural as well as urban areas. Planning rural development along with urban development. Affordable housing in urban areas. Govt of India launched ‘National Urban Health Mission’ to improve health care facilities for urban poor. India implemented ‘slum upgrading’ in a few recognized slums. 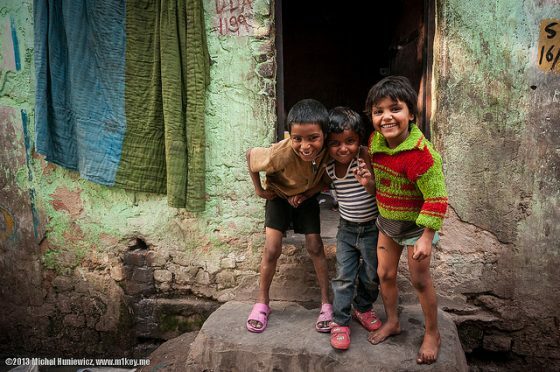 In 2015, Indian Govt allocated budget to replace crowded slums with 2 crore homes. Besides improving the slums, the causes of slums creation should be addressed. Distributive development will serve the purpose and thereby everyone can have a dignified and healthy life. Afterwords :- What do you think about this issue? Feel free to express your opinions in the comment section below. This article is written by Sheetal Patil. All rights reserved @ Group Discussion Ideas.